In the Colombian jungles there’s no time for playing around. 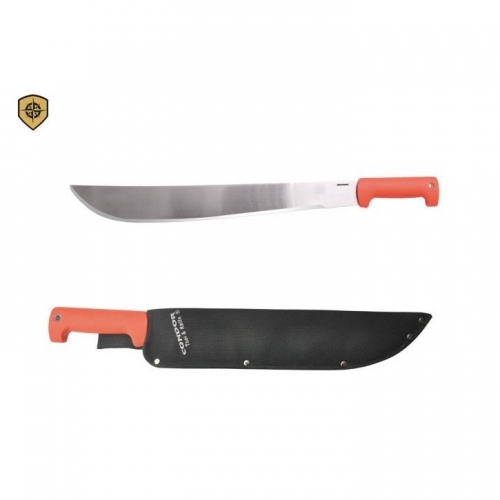 You need a machete, and the machete the jungle warriors turn to is the 24″ sawback complete with a hand-guard. For hacking through the toughest trees and vines, you can’t mess around with cheap imitations. 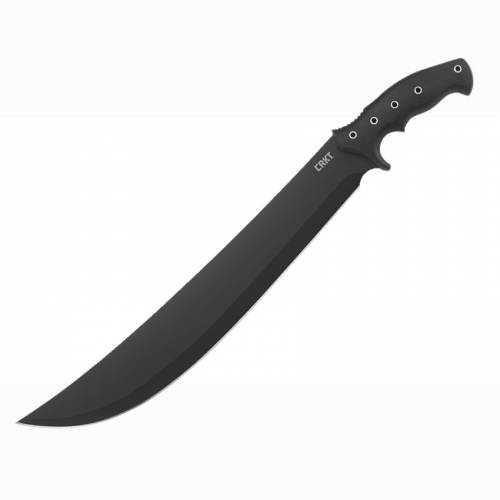 This machete offers a thick, full-tang, all-black 18″ beast of a blade that not only looks mean, but it can take a beating and not lose its edge. The injection-molded handle feels soft in your hand, but won’t slip when you get sweaty. A looped cord wrist lanyard ensures it won’t stray far. 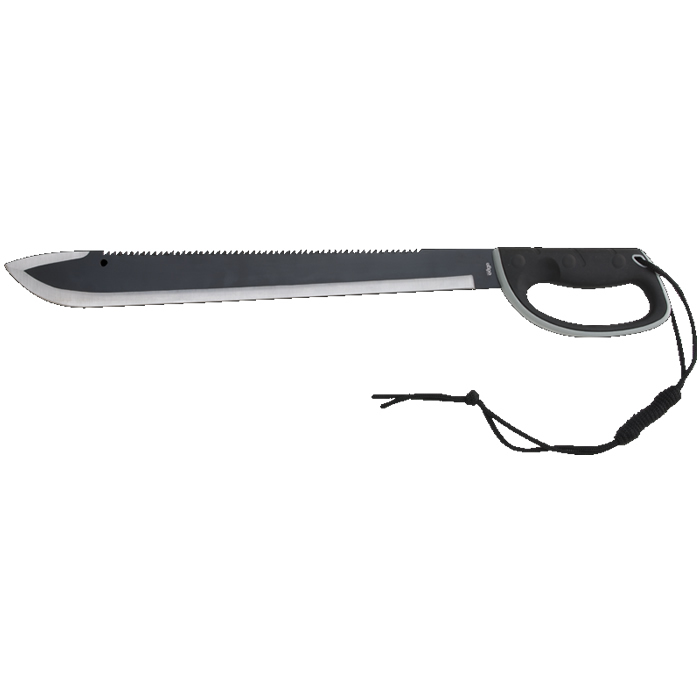 Includes molded black nylon, belt loop sheath. 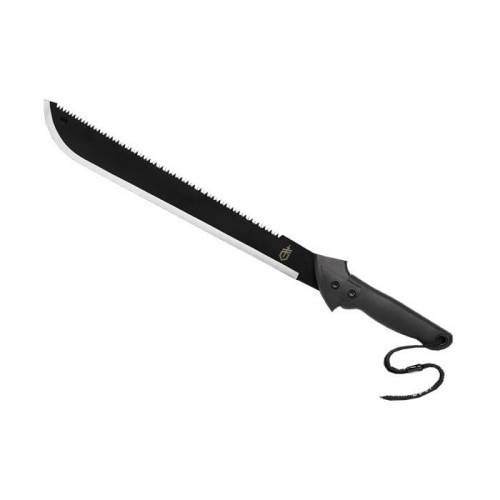 24″ overall length. 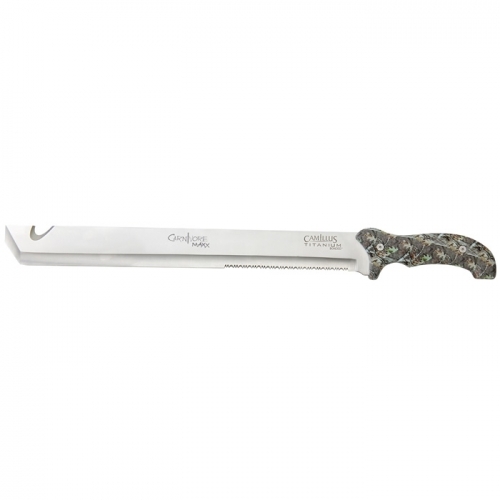 18″ main blade length.